Nazca Lines Mysteries : Can anybody solvethem ? Ever ? Even Maria Reiche, after decades of research, could not come up with a satisfying explanation. The Nazca Lines are located in the Nazca Desert, a high arid plateau that stretches between the towns of Nazca and Palpa on the pampa (a large flat area of southern Peru). The Nazca Lines are the most outstanding group of geoglyphs in the world. The Nazca Lines are one of the worlds best known and most controversial mysteries. Why the ancient Nazca people would create elaborate geoglyphs so large that no one could see them has puzzled researchers since the discovery of the Nazca lines. Since their discovery, various theories have been proposed regarding the methods and motivations underlying the lines' construction. Since then the Nazca Lines have inspired fantastic explanations, like - ancient gods, a landing strip for returning aliens, a celestial calendar, used for rituals probably related to astronomy, to confirm the ayllus or clans who made up the population and to determine through ritual their economic functions held up by reciprocity and redistribution or, a map of underground water supplies. Other theories that have been developed include the lines as racetracks for competitions and as a map of the Tihuanaco Empire. 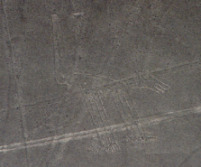 Nazca lines were unknown until 1920s. They were first spotted when commercial aircraft started to fly over the region within the late 1920s. Some of the passengers reported seeing some sort of pictures on the desert surface below. Some mentioned that it looked like aircraft runways. Even after that they remained hidden for another decade. Paul Kosok, an American scientist, was the very first person who really started to spent some time on the rumors. In 1939 he came to Peru to work on this. Though he started his work to investigate if these lines were part of an irrigation system. They weren’t. However, by pure chance, it just happened to be the winter solstice and he noticed that the sun set exactly at the end of one of these long lines. Immediately he realized that this desert is the biggest mystery of the world. Maria Reiche was a German mathematician and archaeologist who was famous for researching the Nazca Lines. Kosok and Reiche advanced one of the earliest reasons given for the Nazca Lines: that they were intended to point to the places on the distant horizon where the Sun and other celestial bodies rose or set. Maria Reiche was 35 when she met Kosok, not long after his discovery. Maria Reiche's house, in the nearby village of San Pedro, now also a museum, is filled with her personal belongings, her maps, photos, camera, and hand-drawn sketches. Maria Reiche died in 1998 at the age of 95. Even Maria Reiche, after decades of research, could not come up with a satisfying explanation. In 1980 Georg Petersen pointed out that Reiche's theory did not explain the different lengths and widths of the lines. Dr. Paul Kosok was a Professor at Long Island University (New York) of USA during 1930s. In 1939-41 and 1948-49 the historian Paul Kosok made extensive field studies of the prehistoric irrigation works in the oasis valleys of coastal Peru. His aim was to map the ancient canal systems, to reconstruct the maximum areas of pre-Columbian cultivation, and to study the relation of irrigation to settlement patterns. 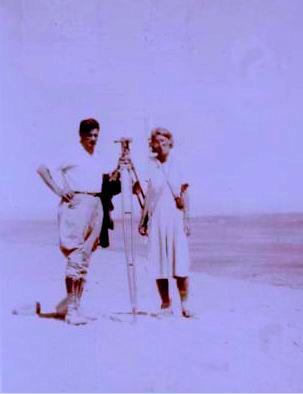 In a presentation where Kosok explained his views on Nazca Lines Reiche worked as her assistant, actually as a translator ( Reiche knew Spanish language). Reiche was obsessed with the facts she just learnt. Afterward she spent her whole life on discovering the facts behind Nazca lines and saving those lines. Dr. Kosok continued his research on lines until 1959, when he died. Then his job was continued by Reiche. So what are those lines? There are hundreds of figures and lines. Some are figures of animal, birds or human beings, some are just lines, some are geometric shapes. LEts discuss some of them. Figures - There are figures of monkey, birds, spider, dog, condor, human being. Geometric shapes - you can see (if you fly, of course) parallels, trapezoids and lines. Actually there are plenty of images, you may even see Pelican, Llamas, shark even astronauts.